Inflation has slowed in New Zealand, with the consumer price index (CPI) rising just 0.2 percent in the three months ending September 30. This was down from an already sluggish 0.4 percent rise in the previous quarter, with some economists predicting that inflation has now troughed in the current cycle. Despite these weak figures, most experts were forecasting even lower results, with the RBNZ now expected to make a single rate reduction to help fuel the economy. If CPI figures have reached their low limit like many people are suggesting, the kiwi is likely to find support in the months ahead. According to currency traders at HiFX, inflation data "will put further pressure on the Reserve Bank to cut interest rates in an effort to bring inflation back into its 1 per cent-to-3 per cent target range," with current market forecasts putting the odds of a 25 basis point cut in November at 84 percent. "The underlying picture suggests the economy is beginning to generate a little more inflation." said ASB Bank economist Kim Mundy, adding "Construction costs look set to remain a key driver of domestic inflation." It is a tough balancing act for the RBNZ, with an elevated dollar likely to dampen inflation pressures. 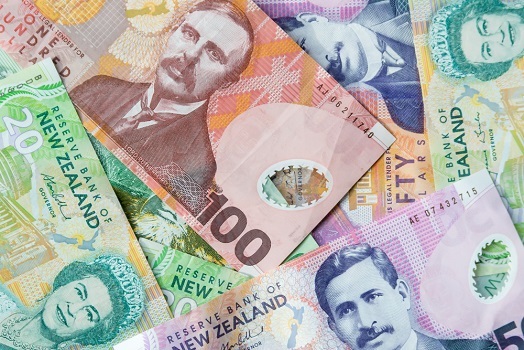 The future of the kiwi dollar also depends on international conditions, with the US about to have an contentious election and weak Chinese trade figures just released. According to Westpac Banking Corp senior market strategist Imre Speizer, "Sentiment appeared to be affected by yesterday afternoon's China's weak trade data, equities and bond yields lower." With the US dollar dropping and speculation that US monetary policy will remain accommodative, there is technical room for both the aussie and kiwi to rebound. The New Zealand dollar is also highly dependent on the health of the local dairy industry, with traders at HiFX saying "The NZD has edged higher overnight boosted by expectations that tonight's Global Dairy Trade auction will break its two consecutive decline streak and show an increase from the previous auction of between 5 per cent and 10 per cent." If local conditions continue to favour the kiwi and we have no international surprises, the New Zealand dollar may continue its long-term upward trend.